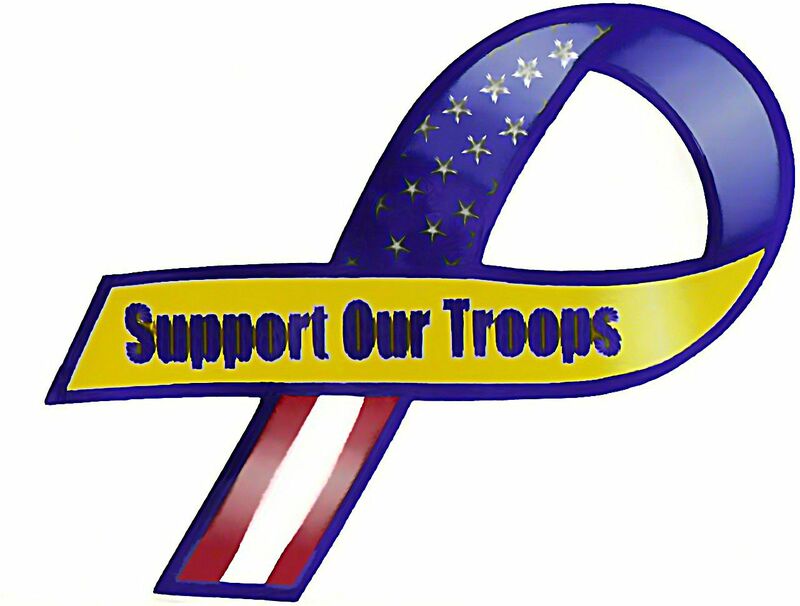 According to the Army News Service funding for tuition assistance has fallen as a casualty of the ongoing budget sequester battle between the Republican Tea Party (GOTP) controlled House and the President; as a result, soldiers cannot submit new requests for tuition assistance, according to LTG Howard B. Bromberg, deputy chief of staff, G-1. Approval for the tuition assistance (TA), stoppage came from Secretary of the Army John McHugh, and affects Soldiers from both the active and reserve components. While it’s reported that soldiers currently enrolled in courses approved for TA are not impacted, and will be allowed to complete their funded coursework, there will be no further expenditures until the current impasse has been breached. While the TA funding, which is funded from the Army’s budget, soldiers can continue their education using alternate methods; those methods include GI Bill funding, which is derived from the Department of Veterans Affairs, is available and Soldiers can continue their education using this benefit. The GI Bill includes the Montgomery GI Bill, Post 9/11 GI Bill and several other education programs. So, basically the GOTP has once again stuck it to the soldiers. When everyone stepped up after 9-11 there were crowds of conservative Americans waving flags and proclaiming how they supported the troops. 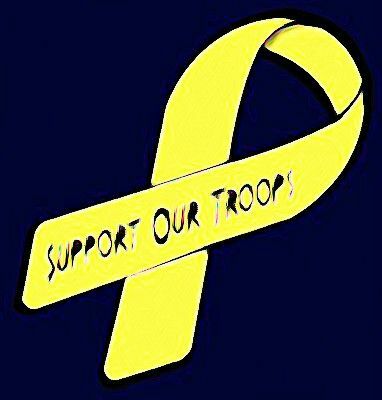 If you still support the troops, step up and tell Congress to fix this now, if you’re unwilling to do that, well, then it’s time to take your patriotic ribbon magnet off your car, and stop being a hypocrite. Senate Republicans block veterans’ jobs bill? As only the Republican Tea Party (GOTP) members of the U.S. Senate could do, they blocked legislation establishing a $1 billion jobs program putting veterans back to work tending to the country’s federal lands and bolstering local police and fire departments claiming the spending authorized in the bill violated limits that Congress agreed to last year. Democrats fell two votes shy of the 60-vote majority needed to waive the objection, forcing the legislation back to committee. The legislation was reportedly based after President Franklin Delano Roosevelt’s Civilian Conservation Corps used during the Great Depression to put people to work planting trees, building parks and constructing dams. Democrats said the latest monthly jobs report, showing a nearly 11 percent unemployment rate for veterans of Iraq and Afghanistan, merited action from Congress. “(With) a need so great as unemployed veterans, this is not the time to draw a technical line on the budget,” said Democratic Sen. Bill Nelson. Sen. Tom Coburn of Oklahoma said the federal government already has six job-training programs for veterans and there is no way to know how well they are working. He argued making progress on the country’s debt was the best way to help veterans in the long-term, meaning somewhere in a mystical future when Republicans have magically regained the White House – so, obviously somewhere outside of four years. “We ought to do nothing now that makes the problem worse for our kids and grandkids,” Coburn said. Sen. Patty Murray, D-Wash., said much would depend upon the number of applicants. She noted that more than 720,000 veterans are unemployed across the nation, including 220,000 veterans who have served since Sept. 11. She said putting veterans back to work was the cost of war. “Instead of meeting us halfway, we have been met with resistance. Instead of saying yes to the nearly 1 million unemployed veterans, it seems some on the other side have spent the last week and a half seeking any way to say no,” Murray said. Reportedly, a handful of Republicans joined with Democrats in voting to waive the objection to the bill: Sen. Scott Brown of Massachusetts, Dean Heller of Nevada, Lisa Murkowski of Alaska and Maine’s Susan Collins and Olympia Snowe. “After everything our veterans have done for us, the least we can do is make sure they are afforded every opportunity to thrive here at home,” Heller said. 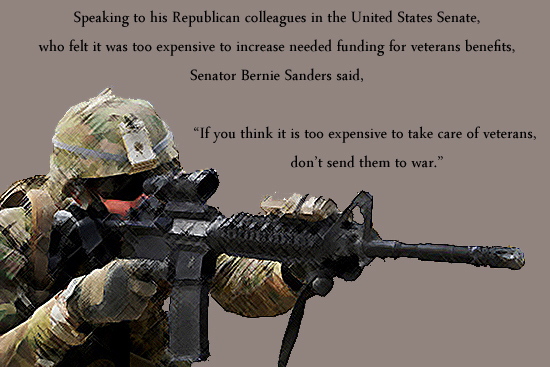 And the senator is right, unfortunately Senate Minority Leader Mitch McConnell has vowed to do nothing that might help re-elect the president, so screw the veterans. This program was 100% paid for and the GOTP senators ignored that, and ignored our nation’s veterans (once again). Thanks for defending us, so sorry you’re unemployed, pick yourselves up and stop being part of the 47% Romney was talking about. Veterans Hiring Bill Is A Democratic ‘Trick’? 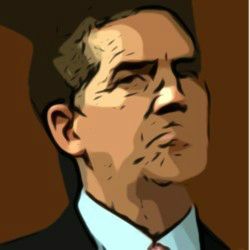 Republican Tea Party (GOTP) favorite, Senator Jim DeMint did not serve in Vietnam (although he was born in 1951) and he’s never served in the armed forces, and yet yesterday he distinguished himself as the only senator to oppose a measure aimed at hiring veterans, calling it a “trick” by the Obama administration and Democrats. He ducked out on those serving in Vietnam, and he’s ducked out on those who are serving now; well, at least he’s consistent. DeMint says he knew his decision wouldn’t be popular, but still cast the lone vote against an amendment to grant employers tax breaks worth up to $9,600 for giving a veteran a job. Well, you got that right Sparkie, you don’t support vets; DeMint voted to grant President Bush the authority to use force in Iraq, and has been supportive of the war – as most of the uber-conservatives have been – but when the Democratic Party assumed control of Congress in 2006 and attempted to pass resolutions calling for time-tables for withdraw, DeMint was a very vocal critic of those actions saying resolutions calling for time-tables were resolutions of defeat and disgrace. Well, the actual disgrace is not supporting Vets once they’ve gone and done what he never had the guts to do – serve. Yes, yes, the President’s catering to an interest group; really? Those who have served are now going to be dismissed by the likes of DeMint as merely an “interest group”? DeMint claims to love his country but has been unwilling to serve or to fully support those who do, he wants to boast he’s strong on defense but clearly he’s not. Soldiers, Marines, Sailors and Airmen are defense Mr. DeMint; they’re the muscle, bone, sinew and blood that pays for your ability to sit safely at home whining; if Karma’s listening then you’ll be duly thanked for your support the next time you run for anything. Veteran’s benefits won’t be slashed? President Barack Obama pledged on Tuesday that there won’t be any cutting of benefits for America’s veterans while he’s in the White House. Addressing The American Legion’s 93rd Annual National Convention in Minneapolis, the President said veterans wouldn’t bear the brunt of federal cutbacks, in spite of the fact veteran’s benefits are clearly in the cross hairs of the Republican Tea Party (GOTP) controlled House and its fiscal crusade. The President also offered a plan to help revive the economy through the hiring of veterans who have and are returning from deployments to Iraq and Afghanistan. The President also addressed the needed care of U.S. service members when they return home – specifically those dealing with hidden wounds such as post-traumatic stress and mental illness. 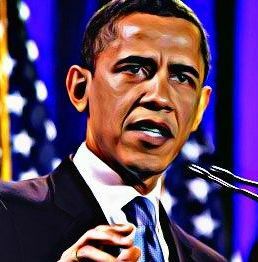 President Obama told Legionnaires U.S. service members serving in Iraq will be home by the start of 2012, while the drawdown in Afghanistan will continue. “Young captains, sergeants and lieutenants have assumed responsibilities once reserved for more senior commanders, reminding us that in an era when so many other institutions have shirked their obligations, the men and women of the United States military welcome responsibility,” he said. “In a decade of war, they have borne an extraordinary burden, with more than two million of our service members deploying to the warzones. 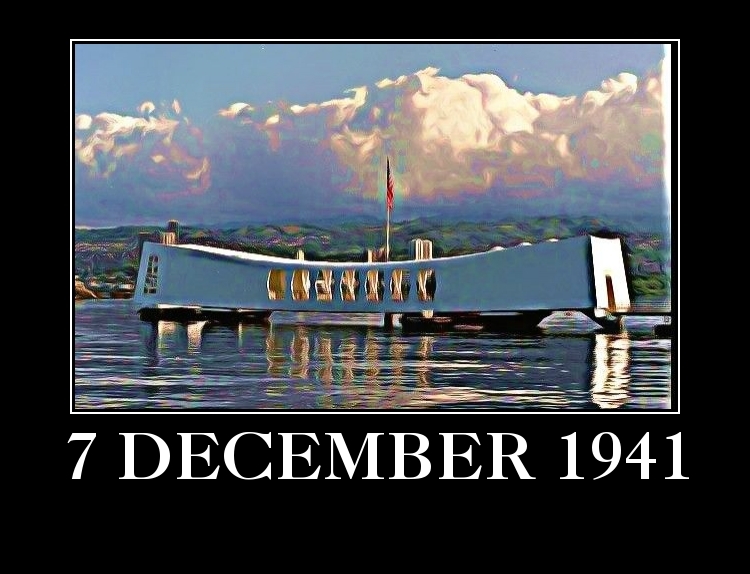 Hundreds of thousands have deployed again and again, year after year. Never before has our nation asked so much of our all-volunteer force – that 1 percent of Americans who wears the uniform. The President said those men and women who come home injured and file a claim with VA shouldn’t have to wait for that claim to be adjudicated, and that the current backlog of VA claims remains a priority for his administration. At a time when the uber-conservatives, who bravely waved the flag and sent our young men and women off to two wars now threaten to cut – and even discontinue – their benefits, it’s nice to know the Command-in-Chief says he has veteran’s backs. If he holds true to what he’s pledged it will go a long way to building bridges between veterans and the Democratic Party; but if he gives in to uber-conservatives and cuts veteran’s benefits he will gravely damage not only his own prestige and that of the office of the President, but he may forever weaken an already ailing relationship between groups like the American Legion and the Democrats. What’s amazing is how veterans seem to hold fast to the GOTP and its candidate’s even though time-and-time again they throw veterans under the bus. Any veteran who votes for any of the current crop of GOTP presidential wanabees or for uber-conservative Congressional candidates votes against their own future. The GOTP isn’t strong on defense and it has proven over-and-over that it doesn’t care about veterans. President Obama seeks tax credits to aid vets? According to the Associated Press (AP), President Barack Obama is asking Congress to approve new initiatives to help some of America’s 1 million unemployed military veterans find work, including tax credits for companies that hire out-of-work vets. The proposal is part of the President’s efforts to return to a focus on jobs after spending weeks fighting with Tea Partista terrorists in Congress who held raising debt ceiling hostage for most of the summer. Last month’s jobs report was dismal, with the country’s unemployment rate ticking up to 9.2 percent and job growth slowing nearly to a halt. The White House reportedly says the sluggish economy creates additional challenges for veterans looking to enter the civilian labor market. About 1 million veterans are unemployed, according the administration, including former 260,000 service members who joined the military after the 9-11pt, and the administration sets the unemployment rate for the post-Sept. 11 service members at about 13.3 percent. – A “Returning Heroes” tax credit for 2012-2013. Companies that hire unemployed veterans would receive a $2,400 tax credit. That tax credit would increase to $4,800 if the veteran has been unemployed for six months or more. – A two-year extension of the “Wounded Warriors” tax credit, which gives companies that hire veterans with service-related disabilities a $4,800 credit. If the veteran has been unemployed for six months of more, the tax credit increases to $9,600. The tax credits would require congressional approval. Administration officials said the White House would start working with lawmakers on the proposal after Congress returns from its recess in September, with the estimated cost of the tax credits being $120 million. President Obama will reportedly challenge private companies to hire or train 100,000 veterans by the end of 2013. He is expected to name some companies that already have committed to taking part in that effort. It will be interesting to see how the Republican Tea Partistas (GOTP) in Congress and those running for the party’s presidential nomination will react to these proposals; no doubt some will attack claiming we don’t have money to support any additional spending. 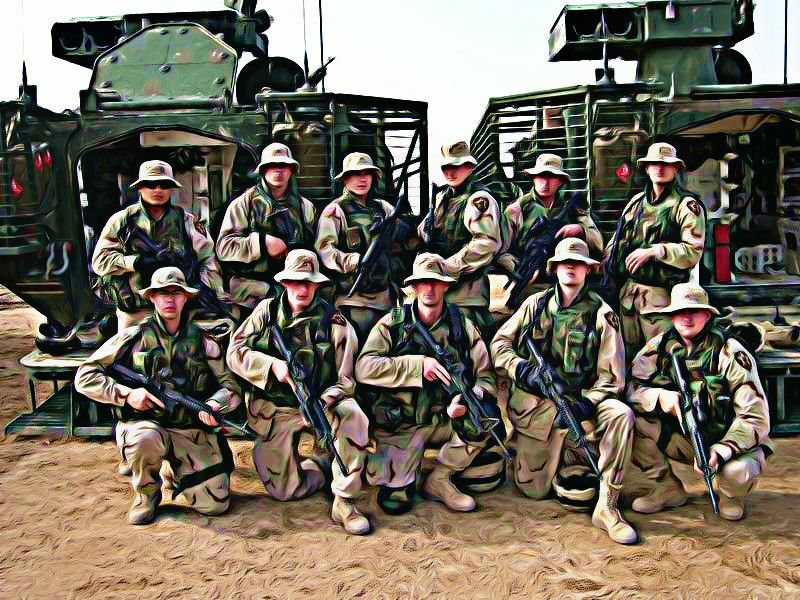 To that sort of claim the President should then say the money will come from a tax on all corporations who made money hand over fist (Haliburton) while Americans fought and bled – and continue to fight and bleed – in Iraq and Afghanistan. You can’t fight a war and not pay for them, and a big part of that cost is taking care of veterans after the fight is over.